There are likely already enough books on your must-read list to make it seem endless. Hopefully, this post will make your problem worse (or at least add a few book reviews to your list). Below, you'll find thirty-five new books connected to the field of religion in American history that are set to be released in the first six months of 2014 (books released from July-December will get their own blog post in the future). I'm sure that a few of these titles will receive more coverage down the road on the blog. In the meantime, take a look and despair at the wretched tyranny of time and/or my lax standards for what counts as "noteworthy." Since I ended this list at thirty-five books—I had to stop somewhere—I inevitably overlooked some books. Feel free to let me know all about my ignorance in the comments. Shortcomings aside, this post should at least alert readers to upcoming books of interest from a wide variety of publishers. James McPherson: "The daughter, sister, and wife of prominent clergymen and theologians, Harriet Beecher Stowe outshone them all in her impact on American religion and reform. 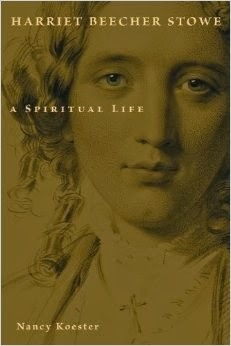 Her life and work were framed by a spiritual quest that led from her ancestral Calvinism to high-church Episcopalianism and even spiritualism. 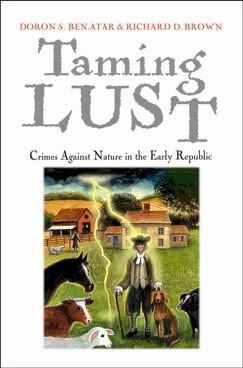 Nancy Koester’s lucid narrative and penetrating analysis carry the reader along unfailingly on this fascinating quest." 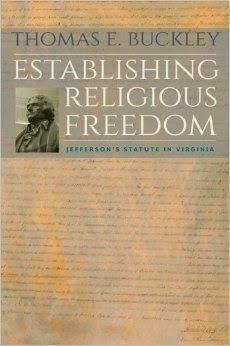 Sarah Barringer Gordon: "A brilliant book--Buckley’s most wide-ranging work to date on church and state in Virginia. Establishing Religious Freedom deepens and adds texture to a story that others have overlooked or oversimplified. Buckley’s book will immediately become the go-to source in the field." 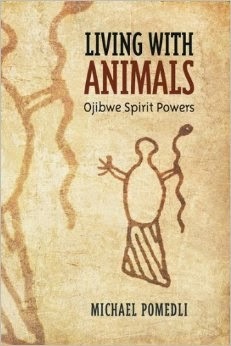 From the publisher: "Within nineteenth-century Ojibwe/Chippewa medicine societies, and in communities at large, animals are realities and symbols that demonstrate cultural principles of North American Ojibwe nations...Michael Pomedli shows that the principles at play in these sources are not merely evidence of cultural values, but also unique standards brought to treaty signings by Ojibwe leaders." 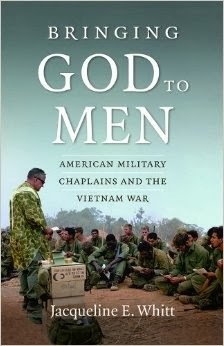 From the publisher: "...Jacqueline Whitt foregrounds the voices of chaplains themselves to explore how those serving in Vietnam acted as vital links between diverse communities, working personally and publicly to reconcile apparent tensions between their various constituencies. 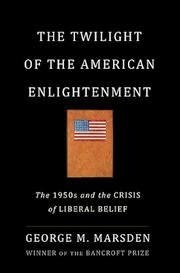 Whitt also offers a unique perspective on the realities of religious practice in the war's foxholes and firebases..."
Andrew Koppelman: "Smith argues that the goal of American religious liberty has been ill served by the Supreme Court doctrines of the past half century. 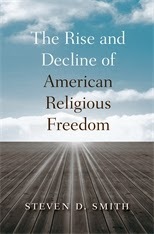 No mere diatribe, but a careful critique by a tremendously erudite and subtle scholar, The Rise and Decline of American Religious Freedom is one of the most important books on religious liberty in years." 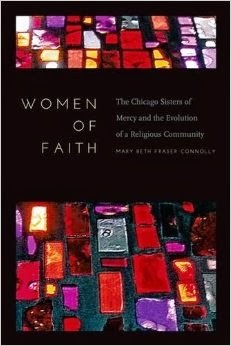 From the publisher: "Focusing on how the Chicago Mercys formed a community, lived their spiritual lives, and served within the institutional Catholic Church, this three-part perspective addresses community, spirituality, and ministry, providing a means by which we can trace the evolution of these women of faith as the world around them changed." From the publisher: "Hackett expands and complicates the terrain of American religious history by showing how Freemasonry has contributed to a broader understanding of the multiple influences that have shaped religion in American culture." 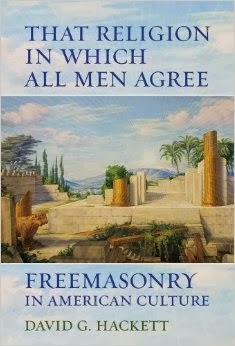 See also blogmeiser Paul Harvey's blurbed words: "There are many studies of Freemasonry, but none like this one." Dwight N. Hopkins: "This book is one of those rare scholarly corrections that offers profound wisdom for academic and popular audiences. 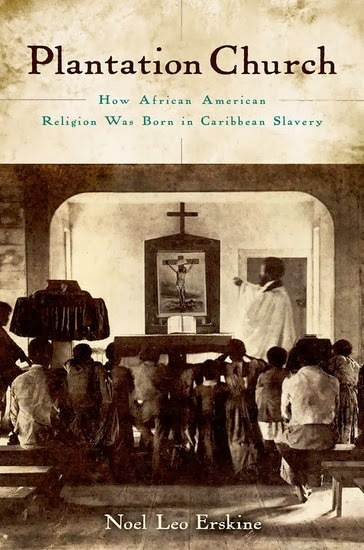 Noel Erskine mounts compelling evidence that the black religious experience began in the Caribbean and not in the United States. How refreshing that he does so with fluid storytelling and a writing style that urges the reader to pursue each page with expectations of new knowledge." 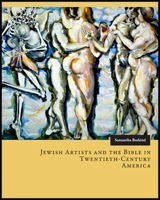 Ellen Landau: "...argues...that the freedom of America’s secular society enabled re-presentation of ancient archetypes and that these, in turn, provided different but equally important cues for ‘navigating modernity.’"
Jonathan Sarna: "A welcome and much-needed synthesis of Jewish life in the Atlantic world during the early modern period. 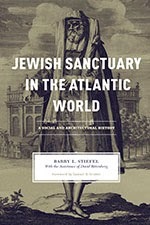 Ranging from Gibraltar to Brazil, with special emphasis on architecture, this volume includes an important chapter on Jews and Blacks in the Atlantic world, and concludes with the finest survey of Atlantic-world synagogues ever produced." 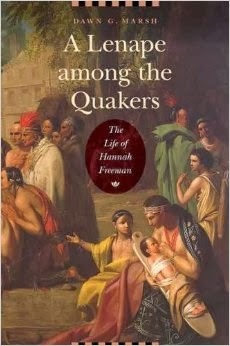 From the publisher: "...reconstructs Hannah Freeman’s history, traveling from the days of her grandmothers before European settlement to the beginning of the nineteenth century. 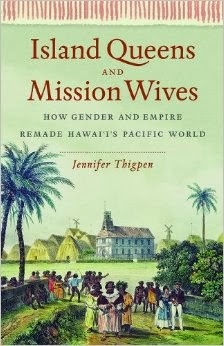 The story that emerges is one of persistence and resilience, as 'Indian Hannah' negotiates life with the Quaker neighbors..."
David Chang: "...makes significant contributions to American religious history, the history of American missions, and American women's history...converses with works in Hawaiian studies and studies of colonialism...previous scholars have studied missionary women, other previous scholars have studied Native Hawaiian women's engagement with the mission, but no previous scholar has made the relationship between these two groups an object of study." As the book on this list which deals most closely with my own research interests, I will be providing a more in-depth look in next month's post. 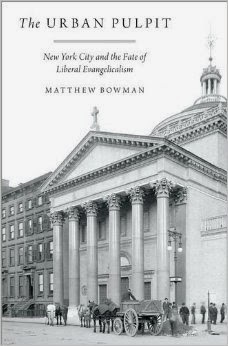 Matthew Avery Sutton: "...masterfully brings a host of religious activists to life...challenges what we think we know about American Protestant liberalism, evangelicalism, and the relationship between the two." 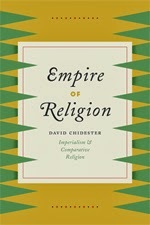 From the publisher: "As the essays in this volume demonstrate, a diverse array of religious traditions informed the political culture of the American founding...includes studies both of minority faiths, such as Islam and Judaism, and of major traditions like Calvinism. It also includes nuanced analysis of specific founders-Quaker John Dickinson, prominent Baptists Isaac Backus and John Leland, and Theistic Rationalist Gouverneur Morris, among others"
From the publisher: "The New Deal is often said to represent a sea change in American constitutional history, overturning a century of precedent to permit an expanded federal government, increased regulation of the economy, and eroded property protections. 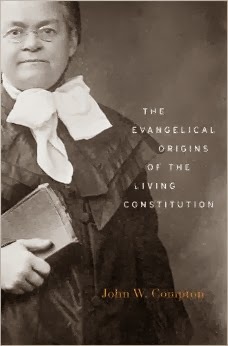 John Compton offers a surprising revision of this familiar narrative, showing that nineteenth-century evangelical Protestants, not New Deal reformers, paved the way for the most important constitutional developments of the twentieth century." 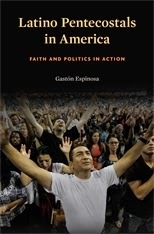 Mario T. García: "...a path-breaking study of the hidden history of Latinos in the United States—the role of religion and politics. 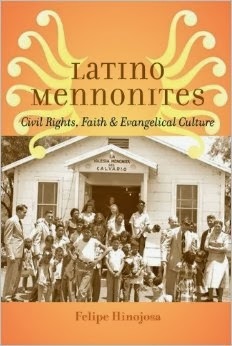 With masterful historical skills and a nuanced historical perspective, Felipe Hinojosa unearths the history of Latino Mennonites and contributes to the developing historiography of Latino religious studies and to a more inclusive history of American religions." 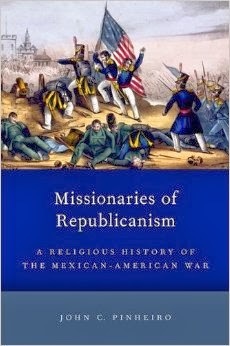 Ed Blum: "With elegant prose and clear arguments, Pinheiro shows how anti-Catholicism became the unifying thread that tied together white American Protestants in their approaches to and experiences of the Mexican-American War. Even more, Pinheiro uncovers how anti-Catholic republican Protestantism became the primary way Americans understood the West and the nation writ large. 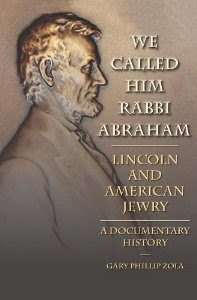 This is a book for all students of American religions and American wars." David Morgan: "The book examines a robust range of clothing cultures among nineteenth- and twentieth-century American Catholics. 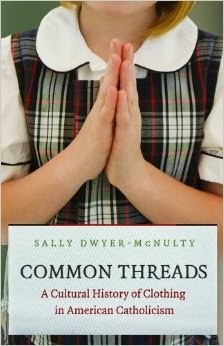 Dwyer-McNulty deftly weaves popular practice, ecclesiology, theology, genders, daily life, and ritual life into a single, compelling account." 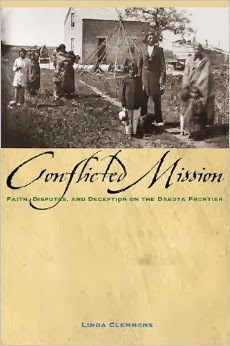 From the publisher: "From the mid-1830s to the 1860s, the missionaries sent to Minnesota by the [ABCFM] wrote thousands of letters...claiming success in converting the Dakota people....Linda M. Clemmons reveals that the reality of the situation was far more conflicted than what those written records would suggest." 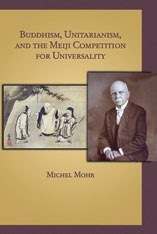 From the publisher: "Drawing on the wealth of information contained in correspondence sent and received by Unitarian missionaries in Japan, as well as periodicals, archival materials, and Japanese sources, Mohr shows how this missionary presence elicited unprecedented debates on 'universality' and how the ambiguous idea of 'universal truth' was utilized by missionaries to promote their own cultural and ethnocentric agendas." Andrea Smith: "Tarango's groundbreaking work focuses on the participation of indigenous peoples in the Assemblies of God. 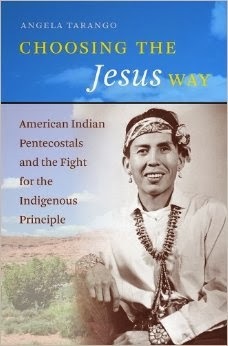 It is significant, not only for telling an important history in one particular Christian denomination, but for the way it brilliantly challenges prevailing assumptions within Native studies, anthropology, and religious studies about the relationship between Native identity and religious/spiritual practice." 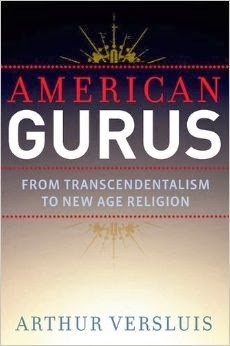 From the publisher: "Versluis explores Transcendentalism, Walt Whitman, the Beat movement, Timothy Leary, and the New Age movement to shed light on the emergence of the contemporary American guru...This insightful study is the first to show how Asian religions and Western mysticism converged to produce the phenomenon of 'spontaneously enlightened' American gurus." 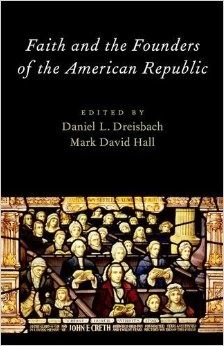 From the publisher: "Historians Doron S. Ben-Atar and Richard D. Brown delve into the specifics to determine what larger social, political, or religious forces could have compelled New England courts to condemn two octogenarians for sexual misbehavior typically associated with much younger men." John Turner: "Compelling, intelligent, elegantly written-there aren't enough superlatives for this book. 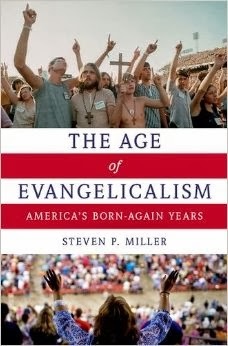 The Age of Evangelicalism will become the standard account of evangelicalism's presence at the center of American culture and its passage in and out of the halls of power." 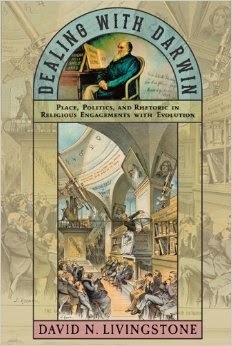 From the publisher: "...historical geographer David N. Livingstone investigates how religious communities sharing a Scots Presbyterian heritage engaged with Darwin and Darwinism at the turn of the twentieth century...shows the profound extent to which theological debates about evolution were rooted in such matters as anxieties over control of education, the politics of race relations, the nature of local scientific traditions..."
From the publisher: "...12.5 million Latinos self-identify as Protestant--a population larger than all U.S. Jews and Muslims combined. Spearheading this spiritual transformation is the Pentecostal movement and Assemblies of God, which is the destination for one out of four converts. In a deeply researched social and cultural history, Gastón Espinosa uncovers the roots of this remarkable turn and the Latino AG's growing leadership nationwide." 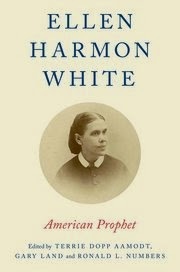 From the publisher: "...Ellen Harmon White tells her story in a new and remarkably informative way. Some of the contributors identify with the Adventist tradition, some with other Christian denominations, and some with no religious tradition at all. Taken together their essays call for White to be seen as a significant figure in American religious history and for her to be understood her within the context of her times." From the publisher: "Using the methods of spatial geography, Shelby M. Balik examines how migrants adapted their understanding of religious community and spiritual space to survive in the harsh physical surroundings of the region. 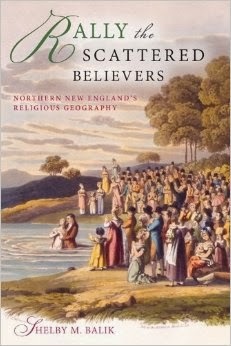 The notions of boundaries, place, and identity they developed became the basis for spreading New England's deeply rooted spiritual culture, even as it opened the way to a new evangelical age." 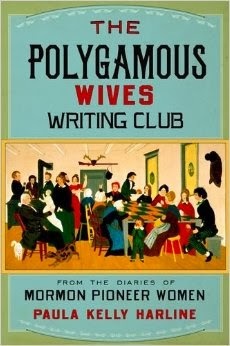 From the publisher: "Paula Kelly Harline delves deep into the diaries and autobiographies of twenty-nine such women, providing a rare window into the lives they led and revealing their views and experiences of polygamy, including their well-founded belief that their domestic contributions would help to build a foundation for generations of future Mormons." 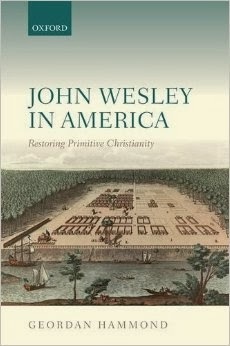 From the publisher: "Geordan Hammond presents the first book-length study of Wesley's experience in America, providing an innovative contribution to debates about the significance of a formative period of Wesley's life...addresses Wesley's Georgia mission in fresh perspective by interpreting it in its immediate context." 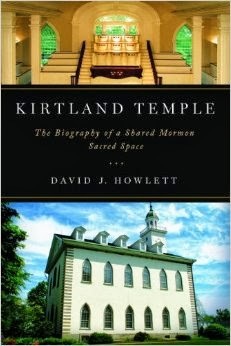 Lawrence Foster: "...a thoroughly researched and thoughtfully nuanced--yet also highly readable--analytical narrative about a much-contested Mormon sacred site during more than a century and a half. This study has given me more insight into the complex and divergent development of the two main branches of the Mormon movement than any other book I have read." On top of all the books listed above, there are also a number of books that take a contemporary sociological/ethnographic approach that scholars of American religion might find interesting. But this post is already long enough, so below I'll just list three that caught my attention. Andrea C. Abrams, God and Blackness: Race, Gender, and Identity in a Middle Class Afrocentric Church (New York, March). Melanie E. Brewster, ed. Atheists in America (Columbia, June). 1) Ed Blum alerted me to the forthcoming release of Randall Balmer's Redeemer: The Life of Jimmy Carter, which is going to be published in May with Basic Books. 2) I also forgot to include Joy Porter's Native American Environmentalism: Land, Spirit, and the Idea of Wilderness (Nebraska, April). Thanks -- this is a really useful compilation! excellent post -- thanks for compiling this! Thanks for the tip on Balmer's book, Ed. I'll update the post to add it, since it is going to be released in May. Basic Books didn't have any info on the book on their website yet, so I missed it (but Amazon does have it listed). No hard info on Sutton's book yet, so I'll assume I can include it with my June-December releases when I post Part 2 in a few months. Paul, Thanks for this list and especially for including my book! Thanks for doing all the heavy lifting here. There are some great titles here--it looks like I have a lot of reading ahead of me this year! I am especially excited to see Paula Kelly Harline's book. Also looking forward to Sutton's new one! I'm honored to have my book included in this list -- thank you! I'm looking forward to some excellent reading this year. Fantastic list ~ really helpful. Thanks! 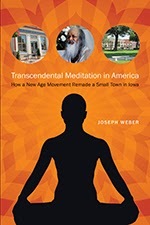 Paul, kind of you to list "Transcendental Meditation in America: How a New Age Movement Remade a Small Town in Iowa." It is in great company.